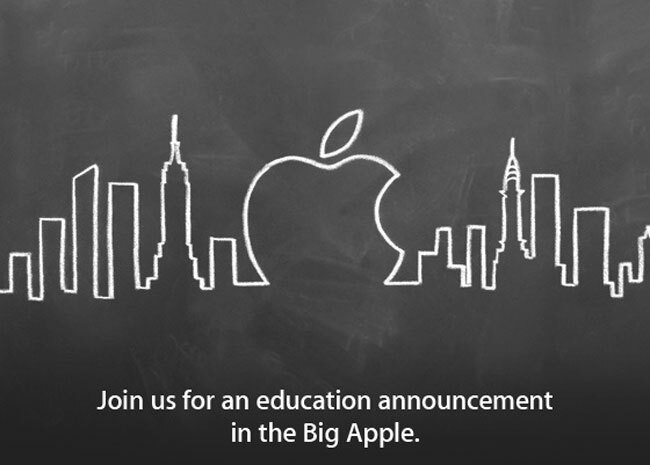 Last week Apple sent out invitations to a special event which is taking place this Thursday the 19th of January, and the invitation, which you can see below is related to education. According to a recent report by Ars Technica, what Apple plans to announce on Thursday is a new set of interactive tools for the creation of e-books, Ars describes it as the ‘Garage Band’ for e-books. The new platform is apparently designed to help people publish their own e-books and then distribute them to Apple’s iOS devices, like the iPhone and iPad. Apple is expected to announced support for the ePub 3 format with its new publishing platform, which will allow for the inclusion of audio and video within the e-books without the need for extensions. Apple is obviously hoping that its new publishing platform will change the way e-books are published to its devices, and the company is also reported to be announcing new text books for education which are optimized for the iPad. It will be interesting to see exactly what Apple announces this Thursday, as soon as we get some more information on what Apple plans to unveil we will let you guys know.